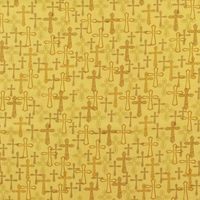 This gorgeous faith inspired cream fabric is titled Amen by designer Maria Kalinowski for Kanvas Studio. 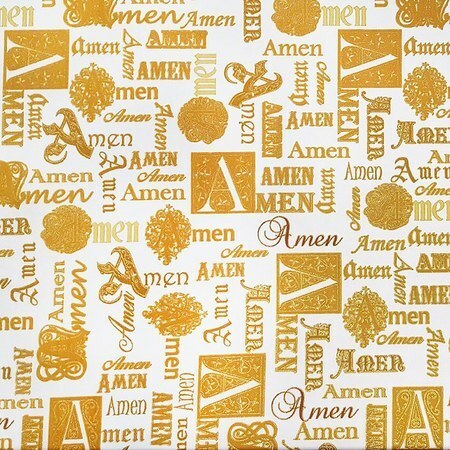 The allover print features the word "Amen" with decorative flourishes around the "A" and has metallic detailing. 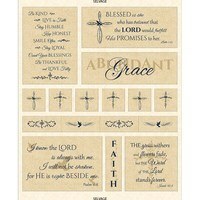 Use this material as a companion to the Abundant Grace fabric collection. 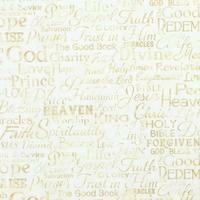 Laundering Instructions: Machine wash: cold, with like colors. Tumble dry low. 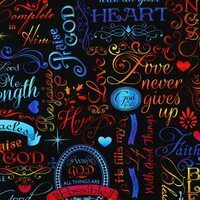 Warm iron. Fabric softener not recommended.